Do you ever experience feeling tempted away from your real self? You know when it happens. You find yourself in a certain situation that just doesn't feel quite right. Your stomach feels like it's in knots, or there's a tickle on the back of your neck and you feel the desire to run away. Experiencing social pressure and simultaneously being aware that you are experiencing it, is a good place to be. You can quickly realize you’re on the verge of caving in or going along with something you don’t want to support or do. Adam Smith, the father of economics and a profound 18th century moral philosopher, used the phrase “going along with” when referencing choices that are socially influenced or conditioned. Being social creatures, we are definitely swayed when making decisions that are sensitive to what other people think or do. We are more likely to go along with our peers than to dare to be different. However, not going along with what others are thinking or doing is part of building the person you want to be because you have the ability to recognize and choose according to your individual standards and beliefs. Norms change only because some people stop going along with them. You can only resist something if you are against it. And the only way to know you are against it is to know yourself and what you believe in. Clarity is the first step. Honesty is always the best policy. It's a little difficult when you are a people-pleaser. No one likes to let someone down. But if you've developed clarity about who you are and what you believe, you know when you need to say, "No." Saying it respectfully is the key to etiquette-ful engagement. Other people's emotions are not your responsibility, but it is on you to be kind and considerate. Remember that a positive relationship is the ultimate goal. Don't blame or judge others. Listen to their point of view, state it back to them, then restate your own. Hopefully, they're listening as well. Be conversational rather than combative or confrontational. Even if you are in a “This is the last straw” moment with a situation, your clarity and kindness will help state your boundary in a way that leaves no room for dispute. Yes - "I value our work together and the goals we started out with." No - "Somewhere in our planning stage, the project took a different turn that doesn't feel in integrity with our goal. I think it's time to revisit our objective and get a couple of things resolved before moving forward." Yes - "It's important that we move forward in a positive way and I want to do everything I can to help get the project back on track." No matter how considerate you are, there are times when it may be difficult to agree to disagree. Resistance can be costly at times, and sometimes it may cost the relationship. This is especially true when you've stood up to someone who isn't acting in integrity. While it may be painful, the best thing you can do is let them go. 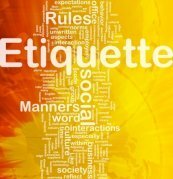 Etiquette involves chosen behavior that helps others feel comfortable and valued. So, if you’ve let yourself get in a situation that you know you need to stand up to, it’s important in the end, to have worked the margins of the situation in a caring, respectful way. 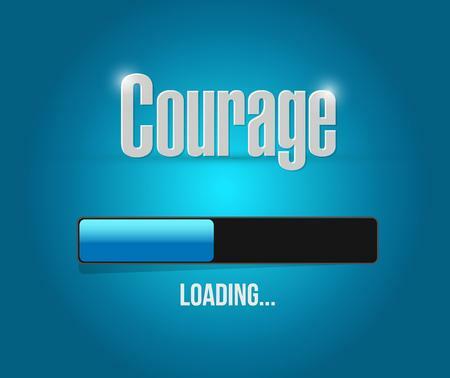 We each get to choose our own thoughts, and how we react or respond in any given moment. Noticing your gut feelings, and heeding their warning not to get dragged along in social pressure, will keep you on track. When you can do this, and respect another person's right to choose his or her beliefs and responses, you are a person others will admire. Special Note: Social pressure has many forms, but there are times when it shows up as violence or places you in a dangerous situation. If this happens, please ask for help. It's also important to know that someone who will threaten you this way has not earned your continued courtesy.